Ships tomorrow if you order in the next 22 hours 8 minutes. Your adrenal glands are responsible for helping your body handle stress. They can become overwhelmed, however, which can leave you feeling worn out and tired. Adrenal fatigue is a very real issue for many people, and it occurs when your glands are overworked and aren't producing enough hormones. 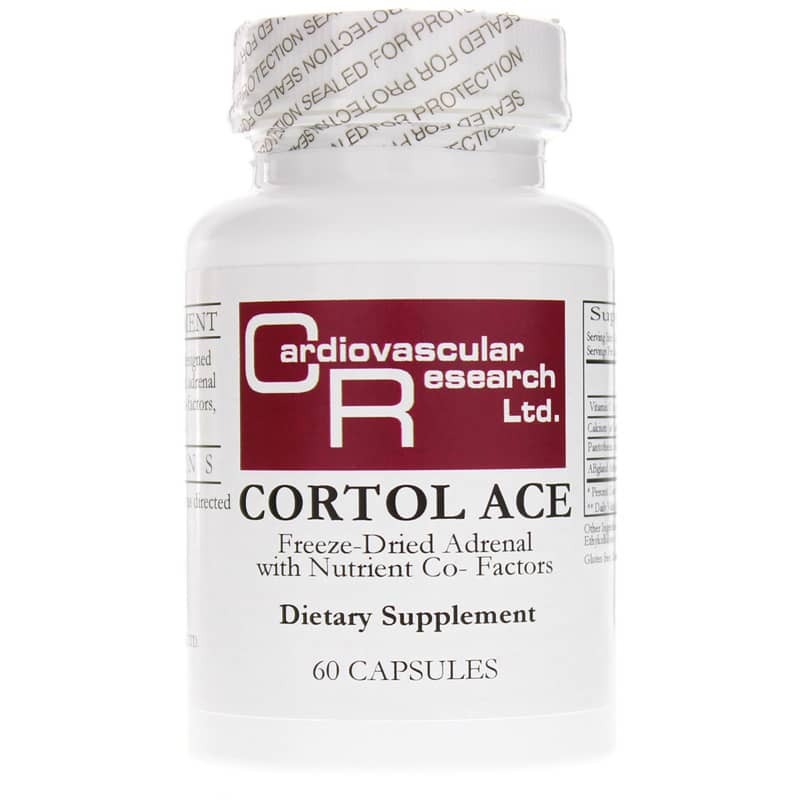 Cortol ACE is a dietary supplement from Cardiovascular Research Ltd. that contains nutrients and cofactors that help maintain optimal adrenal gland health and function. 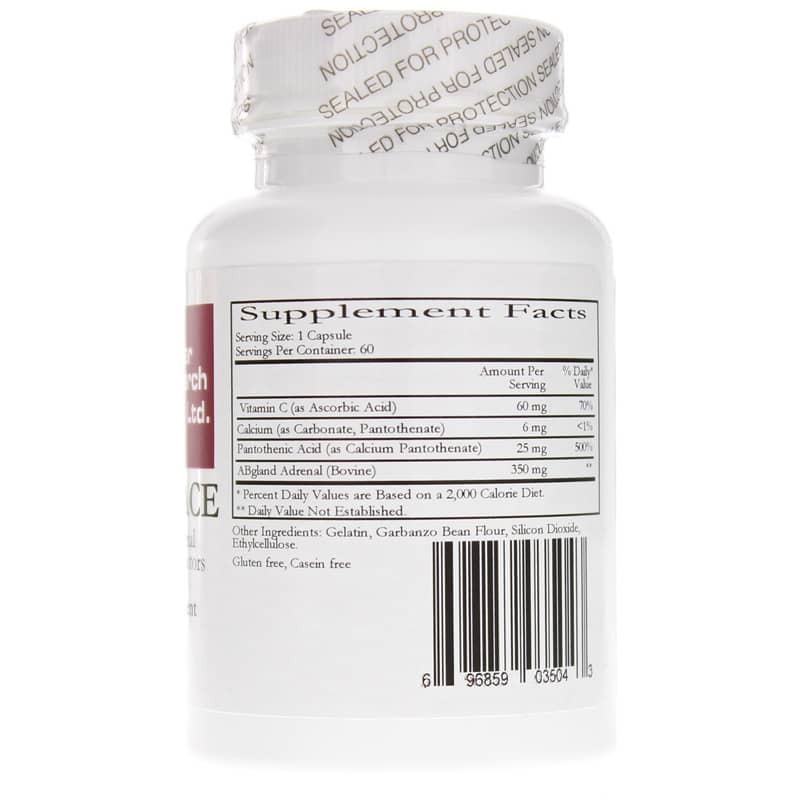 Recapture your energy levels with Cortol ACE from Cardiovascular Research Ltd. today. 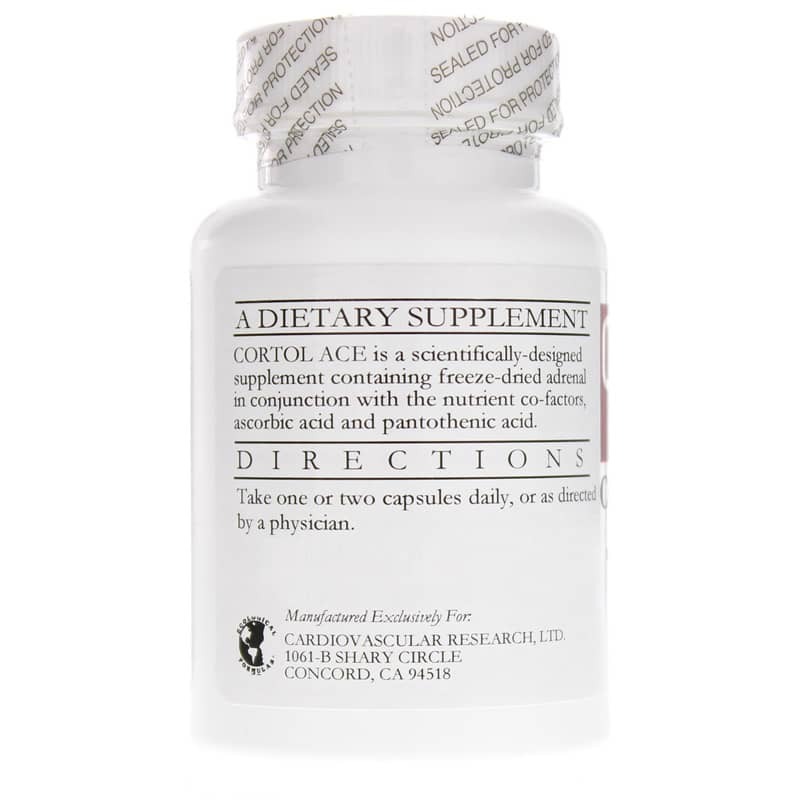 Just one to two easy-to-swallow capsules every day may help keep you on the all-natural pathway toward optimal overall health and an increased sense of wellness. Other Ingredients: Gelatin, Garbanzo Bean Flour, Silicon Dioxide, Ethylcellulose.